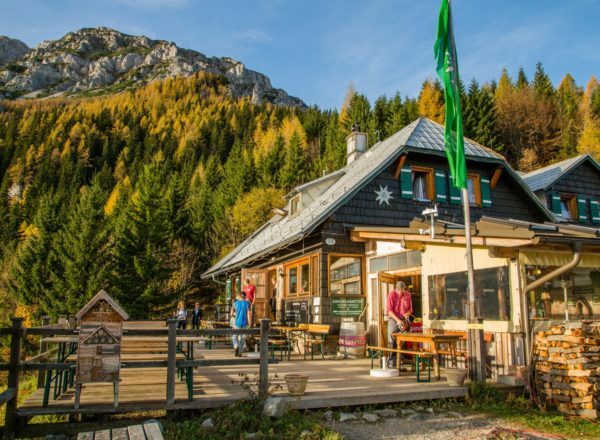 Puchberg is located 80 km south of Vienna in a dreamily romantic basin at the foot of the 2075 m high Schneeberg Mountain, a real paradise for mountain lovers and for those looking for relaxation. 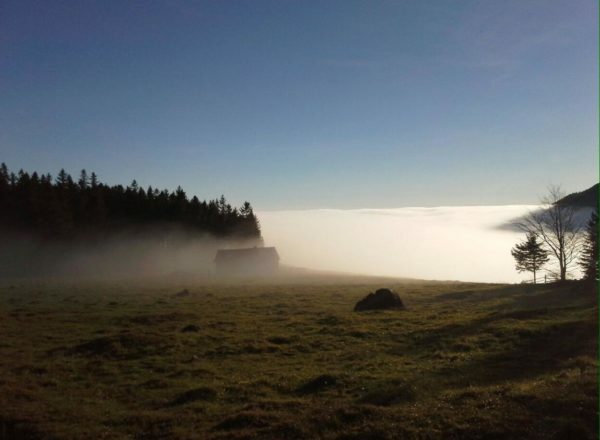 Puchberg has been certified from the Wanderdörfer (Austria’s hiking villages eV) and thus it rose to the nobility of the hikers. There are numerous of spa and leisure facilities, gastronomy and accommodation establishments. 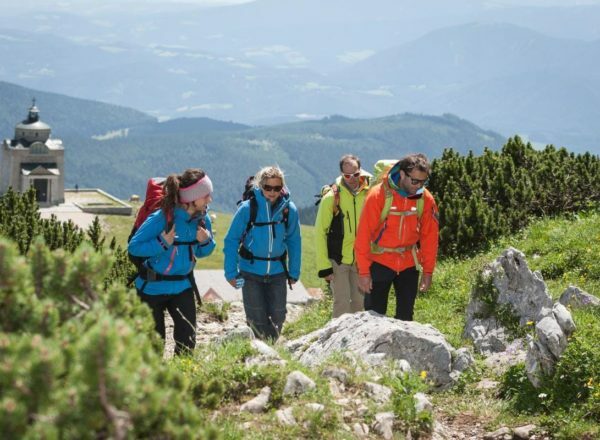 Book a hiking package in one of the excellent establishments or a guided hiking tour in our tourist office. Comfortable hiking: the ways on Vienna’s Alpine Arch, to relax, regain strength and get spoiled. 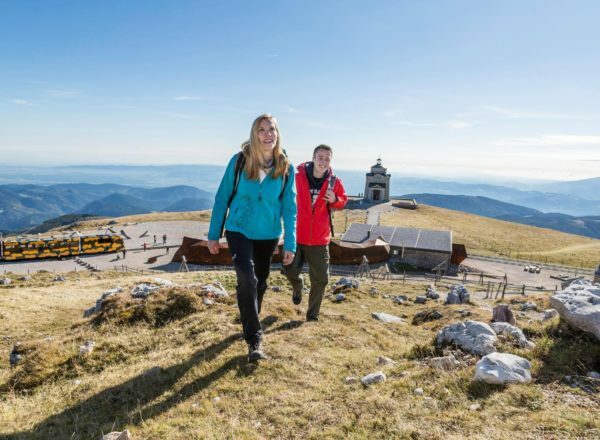 The wanderers appreciate the way on Vienna’s Alpine Arch with its certified hiking villages and hiking hotels, which ideally connects wandering with high quality demands. 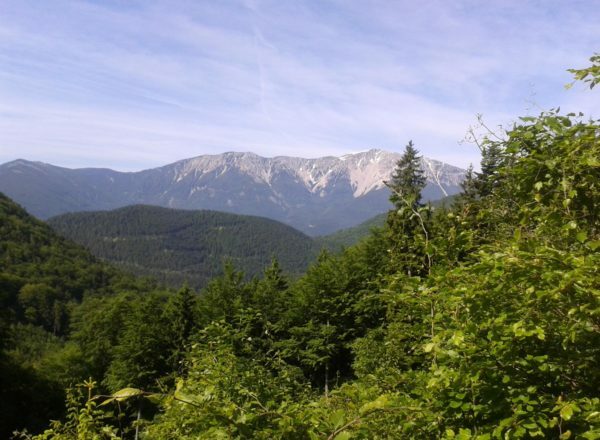 You can find many hiking ways in Puchberg and on Schneeberg here! We are happy to give you advice and look forward to you! 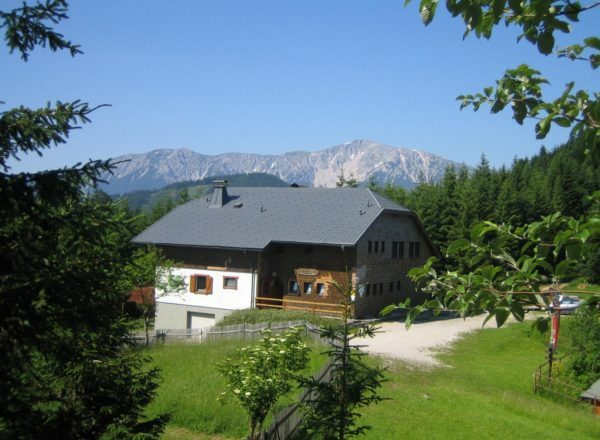 The hiking village Puchberg am Schneeberg offers its visitors guided tours each Thursday. A registration is required until Tuesday, Tel. : +43 2636 2256. The tours are starting at 9 am and last till approx. 4 pm, absolute walking time is between 3,5 and 5,5 hours, depending on the route. The climbs are with max. 650 meters altitude difference. We suggest the following equipment: hiking poles, weather protection, filled drinking bottle, eventually a cereal bar because we do not stop until early afternoon for a bite to eat. Our tour guides await you at the valley station of Schneebergbahn, front of the tourist counter. 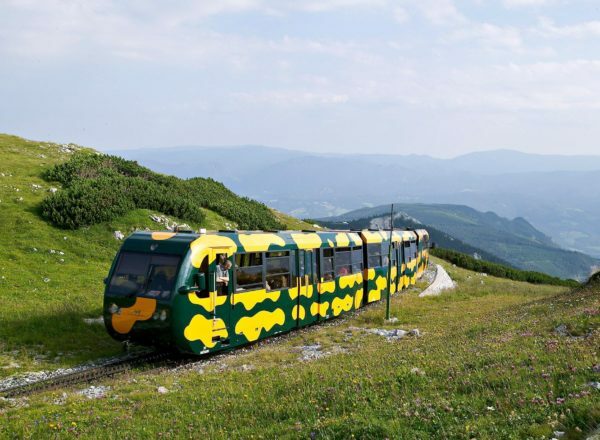 At 3.30 pm leaves the Schneebergbahn from Puchberg station and brings you up in 45 minutes to the mountain station of Hochschneeberg. 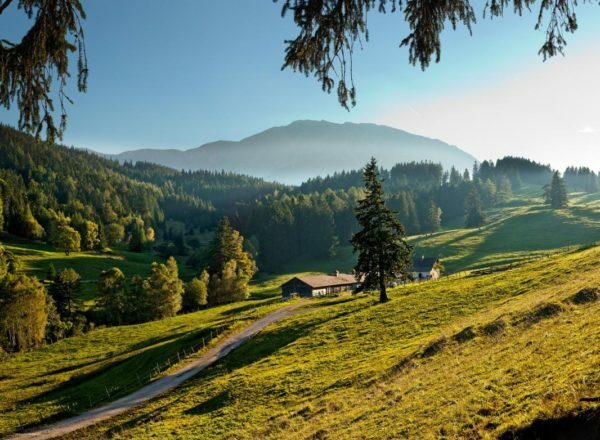 After enjoying the beautiful view in the direction of the Neusiedlersee, we hike through the Ochsenboden (bullock’s ground) to the Fischerhütte. There will be awaiting us already the hosts of the hut, Kathi and Michl with a glass of schnapps. Afterwards you can enjoy a delicious dinner made by the host Kathi. At Moon rise we hike to the summit cross and let us captured by the mystical atmosphere of the full Moon. 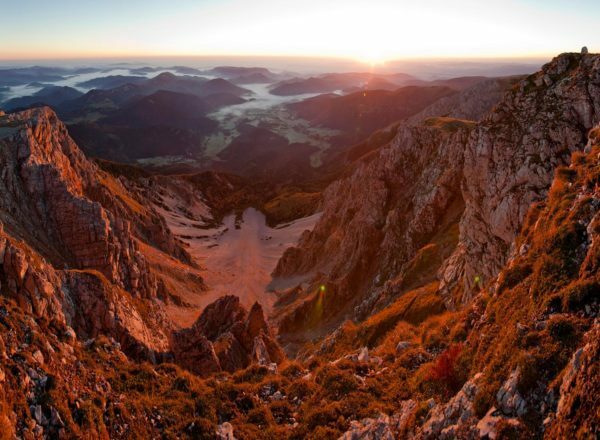 You can be nowhere else so close to the sky and Moon in east part of Austria than on this place. Next morning we experience the sunrise from the terrace of the Fischerhütte. After a rich breakfast we say goodbye to Kathi and Michl and descend via Schneebergplateau along the hiking route next to the cog railway to Puchberg train station. Departure with the Schneebergbahn at 3.30 pm. Please book latest 1 week before your desired date under 02636/2256. From May till October on each first Tuesday and each first Saturday of the month at 2 pm. Herbs hiking take you along meadows and forests, creeks and tracks. Christine Diertl explains with expertise the herbs, flowers and grasses and their importance and effectiveness in the nature and its use for humans. The tour takes about 2,5 hours long and it closes with a small testing of Christine’s natural products. The herbs hiking tours are anytime bookable on request. Direct registration for announced appointments as well as for individual tours under tel. : 0676/5053269 or b.diertl@dialog-gruppe.at. 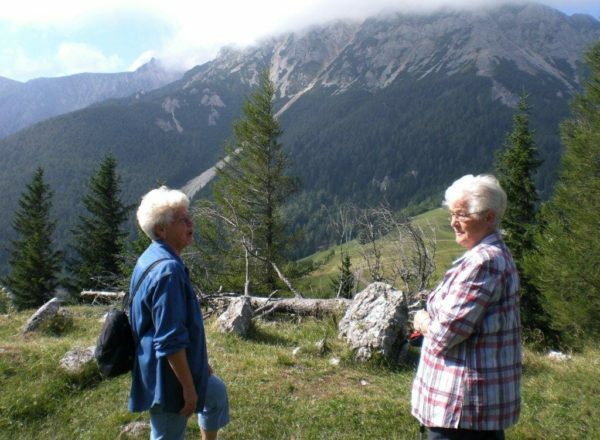 The hiking tour pointer of Puchberg offers families and children varied, playful tours for the Comfortable mild hiking routes, for the physically Strong climbs to the Alps and for the Alpinists height exceedance. You can get the stamps at the mountain huts or also at the stations of the chairlift and Schneebergbahn. It is sufficient as well if you attest the goal yourself with your own notation. You receive the pointer then from us in the tourist office or at the tourist counter at train station.